Remember the night at camp when you couldn’t sleep because of that impish little boy who told you the scariest story you’d ever heard? Looking back at those scary moments, now I see that they turned into very pleasant memories — not to mention that I am still good friends with that boy. 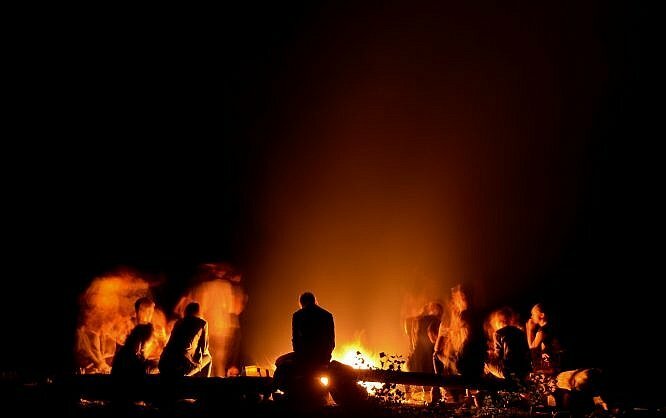 People who have been to a summer camp will automatically remember, how haunting those stories can become around the campfire. The scary storytelling became a sine qua non for most camps all around the world. We don’t notice how big of a part it covers in our memory lane but scary stories are actually hard to forget. P.S. They are audiobooks to get you in the mood, my advice would be to listen to them after dark to get the full effect! Ooh summer camps … With their scary stories, s’mores, nature, friendships, and first kisses… they are truly something to remember. To keep the summer camp culture alive without all the hassle; nowadays organizing and collecting data from the attendees are extremely easy too. Just check out JotForm’s summer camp registration forms and see how to fast forward all the drudgery work with the help of JotForm’s many form templates and skip to the good bit with the scary stories and campfires. Share your favorite scary stories in the comments below!